Back by popular demand is Star Wars Day on Thursday, April 25th, when the Red Sox face the Detroit Tigers at 7:10pm. 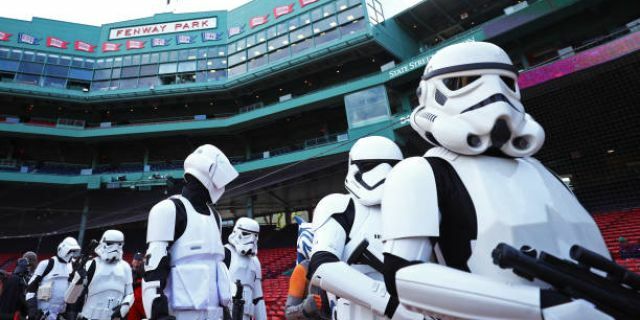 Fans will have the chance to see Star Wars characters at Fenway Park as part of the fun. In addition, all fans who purchase tickets through this special offer will receive a limited edition collectible of the Millennium Falcon flying over Fenway Park.